We gather at Loop of the Loom to reveal our SAORI works. 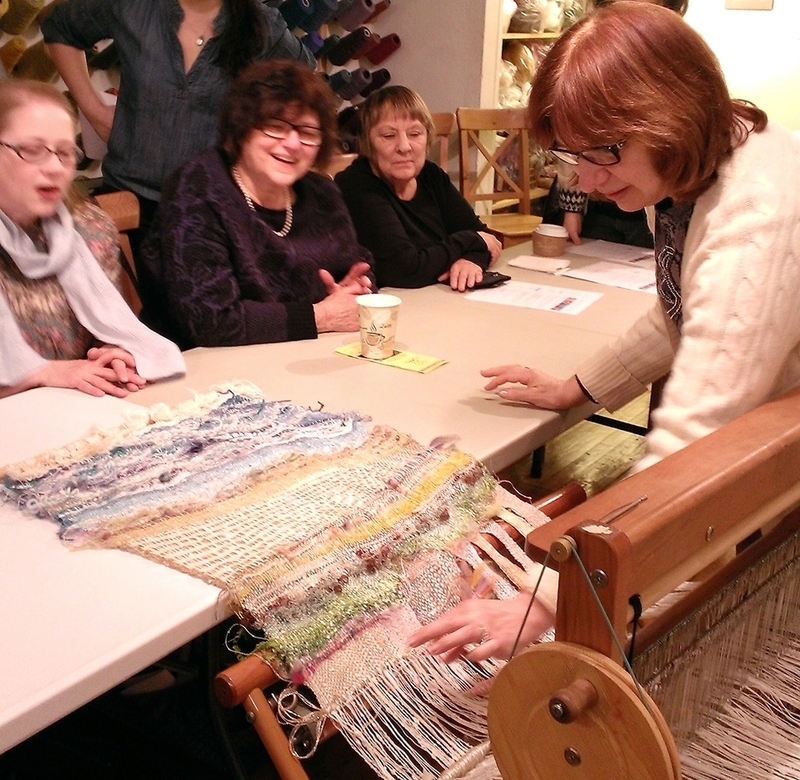 SAORI-kai was started in January 2008 by students of Loop of the Loom who urged me to set up a New York gathering for anyone interested in SAORI. No experience necessary. The aim of this meeting is comprehended in these SAORI slogans. Consider the differences between people and machines. Let’s adventure beyond our imaginations. Let’s look out through eyes that shine. Let’s learn from everyone in the group. We try to follow these four SAORI slogans because to free ourselves from conventional ways of weaving is sometimes very challenging for us. Bring your work. Don't worry if you only have a small piece. Show us, wear it and tell the story about it. Ask questions. Share your ideas. Improve your skills! We welcome the inexperienced and the beginner. See you at the New York SAORI-kai!